A new study linked sedentary behavior, like watching TV, to an increase in colon cancer among those younger than 50. A new study suggests an inactive lifestyle is a potential factor to help explain the rise in colorectal cancer among those under 50, a phenomenon that has puzzled physicians for some time. Early-onset colon cancer is particularly troubling because it tends to be more aggressive than when the disease appears later in life. Risk factors such as smoking and obesity are important in the development of colon cancer under age 50, and up to a third of people that develop cancer at a younger age have a genetic condition that puts them at high risk. Unfortunately, these factors don’t completely explain the increase in colon cancer occurrence in this age group, and experts such as Dr. Yeo think there may be other behavioral or environmental factors that are also contributing. One such factor may be an inactive lifestyle, as evidenced by the results of this most recent study. The study looked at sedentary, or inactive, behaviors in almost 90,000 American women ages 25-42. 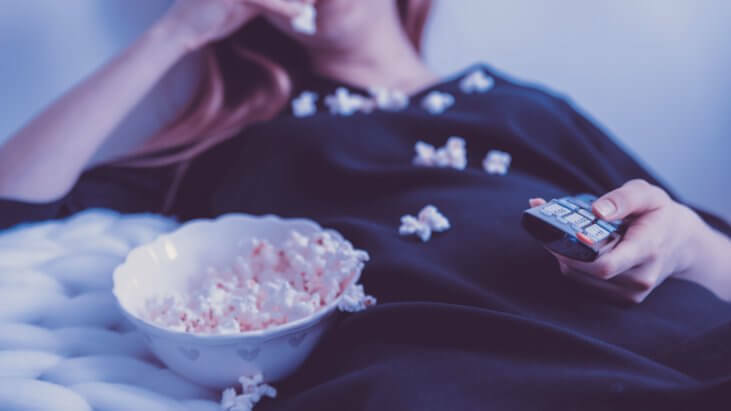 It found that more than one hour of daily TV viewing was associated with a 12% increase in the risk of colorectal cancer. Among those watching more than two hours per day, there was a striking 70 percent increase in risk. This link held true regardless of how much an individual exercised or there body mass index. It’s important not to read into the results of studies like this too much. The results do not mean that simply watching TV will cause colon cancer. In fact, the study does not even fully explain why early onset colon cancer is on the rise while overall colon cancer rates decline. The results simply add to the existing body of evidence that eating healthy and living an active lifestyle can help prevent your risk of developing colon cancer, particularly at a young age. Don’t stop watching TV because you think it may prevent your risk of developing the disease. Just eat right and be active and you’ll be giving yourself the best shot at preventing colon cancer. We asked leading colorectal doctors to identify some symptoms that could indicate colon cancer, and to separate the myths from the medicine in prevention and screening.